The failure of the 1859 Red Sea and India Telegraph Company cable left a need to speed up communications between Great Britain and India. The Indian, Turkish, and Persian governments agreed to interconnect their landline systems, which required a cable between Fao, Bushire, and Gwadar. A land connection would have been through very difficult terrain, so a submarine cable route in the Persian Gulf was chosen, which also allowed the cable to be extended eastwards from Gwadar to Karachi. 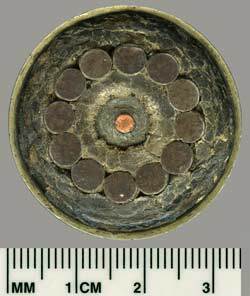 The submarine cable was manufactured in 1863 by Henleys Telegraph Works, using core supplied by the Gutta Percha Company. The copper conductor was made of four segments within an outer cylinder to give maximum conductivity while retaining the mechanical advantages of a stranded conductor. This was then insulated with gutta percha, followed by a wrapping of hemp, then twelve armouring wires. See the article below for further details of the construction of the cable. 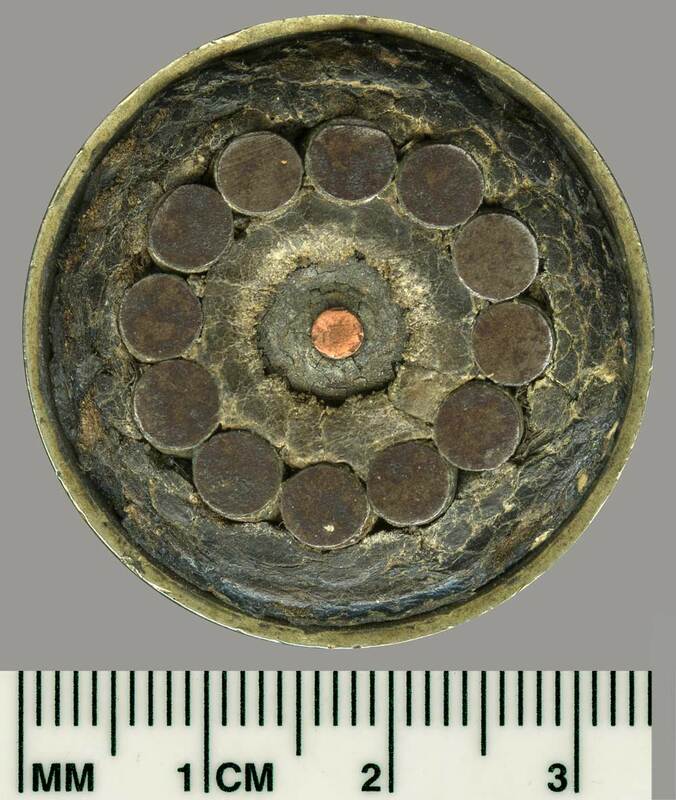 According to the inscription on the cable sample shown here, Henley's made 1,420 miles of cable with a total weight of 5,100 tons. Under the supervision of Sir Charles Tilston Bright, cableships Marion Moore, Kirkham, Assaye, Tweed, Cospatrick and Amberwitch laid the cable for the Indian Government in 1864. The cable route was Gwadar - Karachi: Gwadar - Cape Mussendom - Bushire - Fao; 268 + 291 + 500 + 157 nm, total length 1250 nm. Information from Haigh, cable images courtesy of eBay seller flikmywick. Telegraph Island (Cape Mussendom/Musandam Peninsula). The following account of the manufacture and laying of this cable is taken from an appendix to the 1898 biography of Sir Charles Bright written by his brother, Edward Brailsford Bright, and his son, Charles Bright. THE telegram received a few days ago from Bushire that the submersion has been finished by Sir Charles Bright of the enormous mass of submarine cable which left Woolwich last autumn for Bombay announces the near completion of the great chain of electric communication between England and India, of which the cable forms the most important link. So rapidly does indifference follow upon habit that before the line has been working for the traditional nine days, in which it is permitted to express more than ordinary interest in any novelty, the means and the men by whom this great scientific feat has been achieved,—and may be the very route by which the miles upon miles of wire find their way to our Eastern Empire—will in the natural course of events be forgotten even by those who are employing the line to carry their every-day business correspondence concerning exchange, savists, or shirtings. The event, however, has sufficient historical interest to deserve a passing record of a few of its most prominent details before entering the later stages of oblivion. A glance at the atlas will show that a line drawn directly from England to India passes through Turkey and the Persian Gulf. From London to Constantinople, and thence through Asia Minor by Diabekir to Bagdad, the telegraph has been in operaation for some time; from the city of Caliphs, southwards to the head of the Persian Gulf by the banks of the Tigris (passing Bussorah and the ruins of ancient Babylon), a land line of 400 miles in length is now being made by the Turks, at the instance of, and aided by, our own Government; while a loop line from Bagdad, through Persia, by Teheran to Bushire, near the north-eastern extremity of the Gulf, is being rapidly constructed under the same inspiration to provide an alternative route, during any interruption on the more direct route. As this latter line will before long be connected with the Russian system of telegraph, by a branch passing through Tiflis to meet a wire already at work for 250 miles in a north-westerly direction from Teheran, we shall thus have two distinct lines to the upper part of the Persian Gulf—one chiefly Turkish, the other Russian--in that part of the route where the wires are most liable to derangement. In India several thousand miles of land telegraph have been erected and worked by the Indian Government for a considerable time; not very satisfactorily, perhaps, if the bitter complaints of the Indian mercantile community are any test of efficiency. The present mismanagement must, however, be reformed, together with a good many other Indian institutions. There is at all events some sort of telegraphic communication more speedy than the post connecting Calcutta, Bombay, Madras, Agra, Delhi, Lahore, Kurrachee, and the chief cities of India. From Kurrachee westwards a land telegraph, 320 miles in length, has been recently erected to Gwadur on the Mekran coast, passing through the territories of the Khan of Khelab. The great gap between Gwadur and the head of the Persian Gulf could not be filled up by a land line, owing to the unsettled nature of the intervening country. The Indian Government, therefore, under the advice of Colonel Stewart, the director of the line, determined upon having a submarine cable, to be the best and most durable ever laid down, and Sir Charles Bright and Mr. Latimer Clark, the leading experts in the mysteries of electro-telegraphy, were charged with the production of this essential. 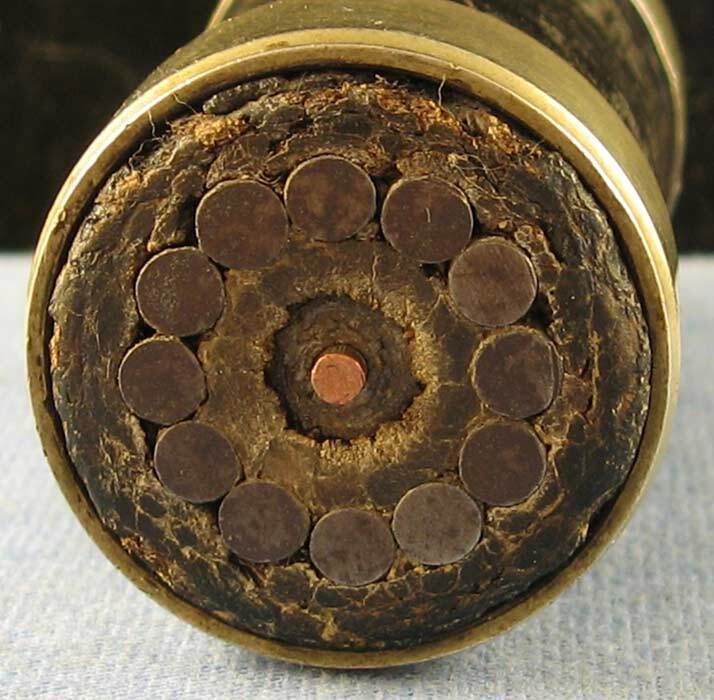 The cable accordingly embraced every improvement suggested by recent experience—the most prominent addition being a protection against oxidation in the shape of a coating of bitumen and silica, laid tightly round the outer iron wires with two servings of hemp, by which it is calculated that the strength of the cable will be preserved intact for many years. The copper conductor also differs somewhat from that of any previous line, in being made of four segments within an outer cylinder. In the early submarine lines the conductor was always formed of a solid rod of copper, drawn down to the requisite gauge, but it not unfrequently happened that the wire broke during manufacture or laying, owing to the existence of some undetected flaw or brittleness in the metal. To get the better of this difficulty it has been usual for some years past to form the conductor of several smaller wires laid together in a strand, thus reducing the chances of any defect occurring in each, at, or near the same place, to a minimum. Here, however, sprung up a new difficulty in the application of the strand system to long lines; the increase of surface in the strand decreased the speed at which a conductor of any considerable length could be worked to a very grave extent, so that a larger quantitity of copper and gutta percha was necessary to produce the same commercial results, or so many paying words per minute. On the ingenious device of the segmental form the engineers have retained the truly circular exterior, at the same time making the conductor of several different pieces. In the manufacture the segments were rolled separately, being then put into a tube of about an inch in outer diameter, and twelve feet in outer length. The whole was then rolled and drawn to the requisite size, when the wire thus formed weighed 225 lbs. to the nautical mile. The gutta percha, weighing 275 lbs. to the mile, was then applied in four separate coatings, the tests of the degrees of conductivity of the copper and gutta percha being taken throughout with the minutest care, and such observation being recorded against its own particular part of the cable, so that there is a complete history of the electrical state of every length of the conductor and insulator from the time of the commencement of the manufacture until the final submersion of the line. To describe the whole process of manufacture would overstep our limits. Last autumn, however, the 1,250 miles required were finished under Messrs. Bright and Clark's supervision, the insular having been made by the Gutta Percha Company, and the sheathing and outer coating by Mr. Henley, at North Woolwich. It was then shipped on board six vessels—the Assaye, Tweed, Kirkham, Marian Moore, Cospatrick, and Amberwitch—the total weight being more than five thousand two hundred tons. In each ship the cable was coiled into three large iron tanks, which were filled with water to allow of the careful system of testing carried out during the manufacture being continued throughout the voyage, and until the moment the cable reached the water. At the close of last year Colonel Stewart and Sir Charles Bright arrived in India with a staff of electricians, soon after the ships reached the Persian Gulf, and the enterprise has now been completed by Sir C. Bright with extraordinary promptitude, and without a single disaster or drawback from first to last.